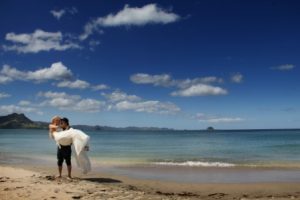 Abel Tasman weddings made easy with us. We are experts in arranging New Zealand wedding packages for eloping couples. 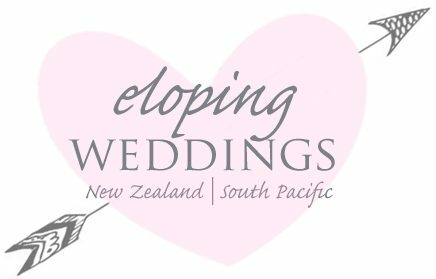 We have amazing vendors we use on a regular basis that will contribute to your perfect eloping wedding in New Zealand. No matter if you want a ferry to a remote beach, (or maybe you prefer a helicopter) we have the contacts to make your dreams come true. We can also save you time and money. How do we save you money? Quality vendors that we use regularly for reduced costs. This beautiful area is statistically the sunniest areas in New Zealand with more sunshine hours than any other part of the country. Pristine beaches with many nooks and coves. Blue and turquiose green seas make this area one of NZ’s most sort after wedding locations. Located at the top of the South Island of New Zealand, it has many attributes. One is the famous coastal walking tracks. Renowned for its lovely climate there is more to do here than just get married. Some of the best sailing in New Zealand is in enjoyed here. Our top choices to get married are Watering Cove, Bark Bay & Tonga Arches, Adele Island and Te Pukatea Bay. 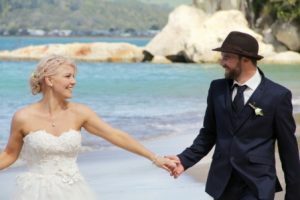 Wedding Ceremony at Little Kaiteriteri, Dummy Bay, Adele Island or Breaker Bay. Wedding video highlights and full ceremony. Hair up and make up. Bridal bouquet and grooms buttonhole. Includes Ceremonies for Dummy Bay, Breaker Bay or Little Kaiteriteri with water taxi. Contact us for an information pack complete with prices on our all our wedding destinations. We have a variety of options to contact us for your convenience.